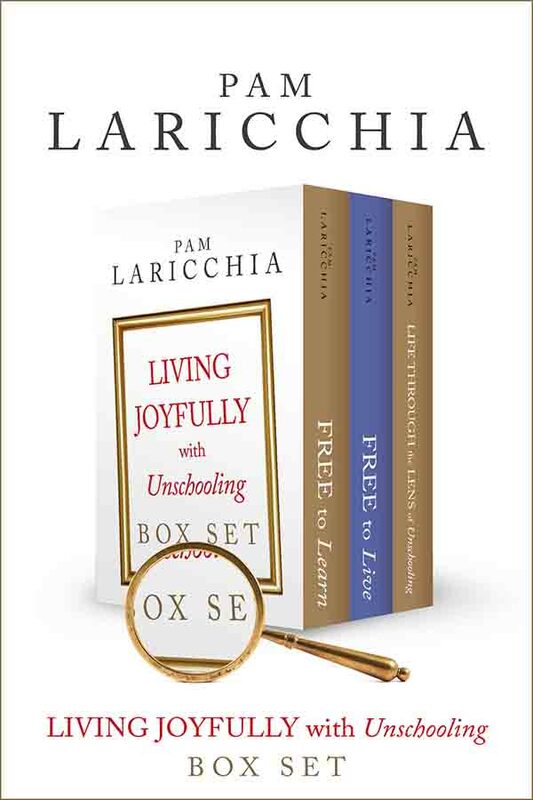 PAM: Welcome, I am Pam Laricchia from livingjoyfully.ca and today I am joined by Anna Brown; hi Anna! 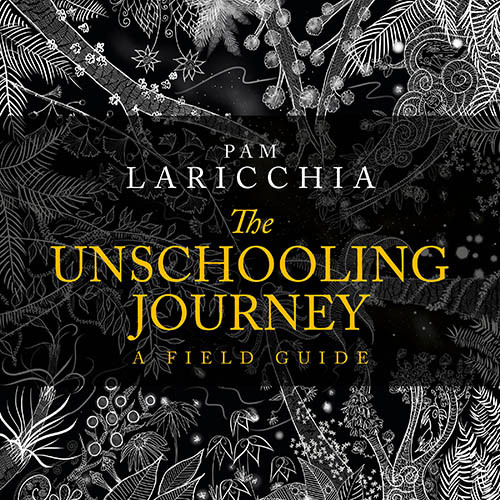 PAM: Now, Anna has been on the podcast before many times, so if you would like to hear more about her unschooling journey, I will put links to her episodes in the show notes. This episode goes out the first week of December and as we move into the holiday season, we realize that things can get challenging. You know, you are deep into deschooling and you are questioning everything right now, including maybe your holiday traditions to see how well they really fit into your family. 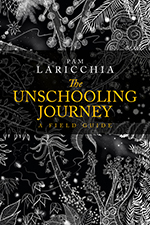 Maybe you are the lone unschooling family and you are anticipating uncomfortable visits with extended family as the holidays start to gear up. And then there is also just that general stress level that seems to build both in the people around us and even sometimes in ourselves as we feel that growing weight of expectations of the season no matter how you celebrate. 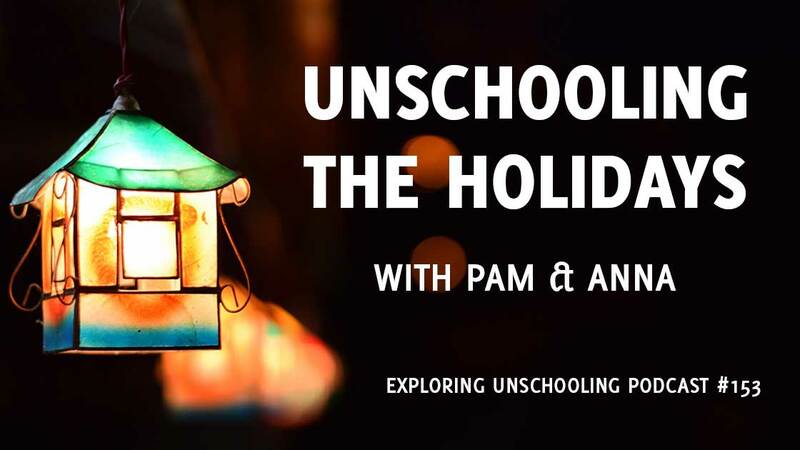 So, this week I invited Anna to join me to talk about navigating the holiday season through the lens of unschooling. First, I want to dive into the idea of holiday traditions because I remember that ‘ah ha’ moment when I realized that I did not have to try and twist my family into all the holiday traditions that I and my husband grew up with, trying to mesh two different family’s traditions together. 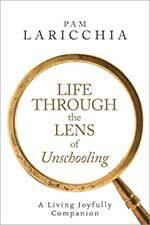 That everything truly was a choice; it was another layer I was peeling back with unschooling. Everything is truly a choice, even around holiday traditions. And when I had that realization, it felt so freeing. So, I was wondering how that perspective unfolded for you, Anna? ANNA: Yeah, I mean it was huge for me as well. Okay, so I am somebody who loves the holidays and not everybody does but I get really excited. 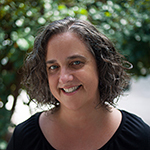 ANNA: I love the lights, I love all of it but having kids and especially attachment parenting and all of the things that we did really changed things. Some things got a little more complicated and lots of things got a lot more fun. So, it was just so great, you know, it was just multiplied. But I think kind of what we kept at our core was talking to the four of us. So, we are a family of four and that was the priority, making sure that we put everything through the lens of what did the four of us want out of any given holiday or any given tradition? So, just a little bit about us, my husband and I grew up in the same town and his parents are divorced so we had three sets of parents, living separately, and siblings and extended family all in this one town. And for really the majority of our kids’ lives, we lived in separate states, sometimes, five states away, sometimes a couple of states away, but always big drives or that type of thing and then you would get to the city and now, we are supposed to see everybody, you know. When it was just David and me, that was not a big deal, we would just pop around to people’s houses and have the meal or whatever. When you are considering little kids especially, and other things, that changed things because I really wanted it to be fun, I wanted to think about developmentally where they were, interest level where they were, all of those different pieces. So, we would just keep talking through what we were looking for and what we wanted out of it and I would be really careful too, around family to keep my energy in a good place so that I had the energy of my joy of the holidays. That was what we were protecting and doing and putting out there so it did not seem very adversarial. I know sometimes with people that have asked us questions about holidays, it can kind of get adversarial, where I think I had to be really careful was just about keeping my energy in check. I think another important thing to remember, we would find a solution that worked great for a year and figuring that out would be great but realizing that it would also change. So, we might find something that works one year for everybody and then the next year it is different. Our sleep schedules are different; somebody is older, you know, new babies come and we have these new things to consider. So, for us it was keeping it flexible and open and just enjoying it. If there were particular traditions that we really wanted to keep sacred to us, we would just keep that with the four of us. We’d make sure we were doing those particular things and then enjoy seeing the extended family, so yeah. I love that idea; time moves on. You know, this is completely not about families but families are communities. We are trying to live in community with our children, not the parent over child dynamic. We are developing a community and it is really true that we can get stuck in trying to maintain something just for the sake of maintaining it rather than growing with us, right. Because if you are stuck trying to maintain it, those become obligations. ANNA: Absolutely and knowing the changes, I mean, if you take a big extended family, there are changes in every family, it is not just about us. There is a new baby over here, there is a divorce over there, there is something happening here, so I love that idea of keeping the community at the forefront vs. the tradition at the forefront. So, in this case keep the connection at the forefront of those relationships, you know. PAM: Yeah, and so you talked about the four of you guys figuring out what is working for you each year, that is the same idea of what we do. We just touch base and if there is joy in doing the things that we traditionally do, we keep doing them. There are things that have developed into traditions for us that have lasted years and even sometimes there might be something that continues to be meaningful to only one or two of us, but still, that is worth it. We do our best to try to figure out a way to make that work because that is just how we roll as a family. Through any interest or anything we choose to do, we take kind of the same way, right. We try to help each other do the things that each of us wants to do. So, when we talk about looking at various traditions, it is not even just for this holiday season right. It is around birthdays, it is around summer holidays like Canada Day, it is around Thanksgiving. It is around all of these kinds of traditions. Every time they roll around, I just do a light check in with everybody who is involved. Cause maybe Lissy is not going to be in town for a particular holiday or somebody is working like you said, some things come up. Michael picked up a really awesome VR system and we are having a blast trying it out. It is really mind-blowing, and I love it, but I did not want to say to everybody, “Oh, you can all come and check it out,” until I checked in with Michael to make sure that he was comfortable with all sorts of other people using his system, which he was and you know, that is good, but it is all that little bits of checking in, just to make sure the way that we are envisioning it meshes with everybody else’s vision, right. And just to give a really quick one from Thanksgiving this year. Thanksgiving has been kind of a tough holiday for me since my dad died a few years ago and I was needing it to change up. So, last year we did something different but my mom who is 85 now, she needed it to be the same. She needed the food to be the same and kind of the continuity of it to be the same, and there was the piece of me at first was like, “Ugh, but I want it to be different” and then I was like, “You know what, I can choose either way.” So, I knew we could figure it out and do it differently but I got to the place of, you know what, I want to give this gift to her and we will do this, and it actually turned out well. I needed to change my thoughts to realize, ‘You have the choice.’ ‘Anna, you do not have to do it, so don’t feel this burden of it, but then decide do you want to or not.’ And, I could have gone either way but I think knowing you have the choice is just so empowering. But I can do the work to understand their perspective and why it is important to them and realizing that I can choose to do this for all sorts of reasons that are my reasons. They may think I am doing it just because it is expected of me, but I have gotten to a place where I am choosing it and even though it looks no different to them, it is a completely different experience for me. ANNA: Right, my energy feels so different and the whole of the event goes better and all of that, so it is always about our work. I just think that is an important piece with all of these different holiday things we will talk about. Yeah. Okay, so maybe there is a holiday tradition in our extended family that does not mesh well with us. They are expecting us to participate, so we have talked a little bit about our shifting, so let’s chat about ways that we can navigate those kinds of situations. ANNA: Yeah, so again, I definitely have open conversations and I think about their level of interest and comfort and obviously especially when they were younger. You know, my kids are older, like yours, so it is different now because we are having different kinds of conversations. But when they were little, I had to do a little of bit of that because I know their tolerance levels for this type of activity or that and kind of take all of those things into consideration. For example ,my oldest, she loved the holidays, still does, but larger crowds, bigger family gatherings had a lot of energy that was tough for her at times. So, what works for her is to be involved and she chats and she is busy and she is having fun but then she needs to get away and have a little bit of space. What I would do kind of pre-going into either someone else’s house or if we were having something at our house, was make sure we had that space for her. So, if we were going to my parents’ house or to a cousin’s house, I would check if there is a good spot where she and I can tuck away, a place that does not interfere with the plans but gives us the space. I would do some of that pre-work to know because I was with them enough to know, okay, she is getting to that point where she needs a little bit of space and I would say, “Oh hey, do you want to go play the game in the back room or do you want to go read a book or do you want to chit chat?” and then she would be like, “Yes,” and take that opportunity and go. So, I would lay some ground work about things like that because I think sometimes, we put a lot of expectations on young children to be at these very long drawn-out events that are not necessarily fun. So, I think that, understanding that interest level and comfort was a big piece of that. Sometimes, we would find if it was not a conducive environment, we would tag-team you know, when they were little, so if it was something one kid wanted to go, and they were going to enjoy this caroling aspect outside and the other one was like, “I do not want to go caroling outside,” or whatever the thing would be, we would take turns and do pieces like that. I was putting some of that weight on it, that it needed to be just like it was and I did not want to upset them, but when I was just honest about well, you know, we may not be able to be there for that part, but we can do this, and people were like, “Of course, yes,” and much more accommodating than I thought. Sometimes we get in our heads about that kind of thing and so I think it is important just to be honest and again if you are keeping your energy in this loving, light, inclusive place, I think people really respond to that. And because this has come up, I am going to just mention it really quick, sometimes there are child-free events, you know, and so for us, when the girls were little, we did not really do babysitters. My oldest, especially, was not comfortable with that kind of situation. So, I would just look at that as, “Okay, what kind of an event is it?” Let’s say it was a work thing, did David want to go? You know, did we want to tag team, did we want to do something like that, and we would just work it out and not put a lot of energy around wanting to change someone’s party or tradition or whatever, just realizing it might not work for us THIS year. I think that is an important thing we said a few minutes ago. Sometimes we project out for the next ten years, we will never be able to do this and oh my gosh it changes, it changes all the time, you know. There were definitely holiday parties, work things where David and I could not go together when the kids were very little but then they would be spending the night with friends a couple of years later and we could go. And so, things change and evolve and so we just looked at that moment what felt good to all of us then and tried to work there. PAM: Yeah, I remember I was going to go with when it does not work for us. I remember there was time when it was very much Rocco’s family’s tradition that everybody gets together Christmas day, after having gotten together Christmas Eve. We tried it for a couple of years and the kids were really young so they did not quite get the gifts and wanting to play with it and everything but then eventually they got old enough that it did not really work for us. We were out there late, we finally got home, slept, do Christmas morning with the kids, and then they wanted us to come out again. Your energy piece; that was another big thing. So, for me it was really just about, I like to describe it as lightly holding my ground, you know, because I am not trying to convince them to see my point of view and why we were not doing something this year. That is really a conversation without a winner because if I am trying to convince them, that is the opening for them to try to convince me why I should be doing it, and then it is just back and forth and round and round and round. So, I learned I do not have to have an expectation of them either to understand why we are not going to be doing X, Y, or Z, whatever it is, right. PAM: Right? We do not know. We are going to learn from this experience; maybe we found that we missed not seeing them or something, or things changed up, they were getting along better with some cousins or something and they really wanted to get together more often, you know, you do not know. So, to try and take what is going to work for us really well, we think this year does not define future years at all, so that was a really big piece for us. Okay, so let us say, we are just kind of moving through the possibilities here, let us say we do have plans to visit with extended family, so how can we set things up to make that a fun experience? ANNA: Well, so again, so I would definitely do some of that preparation—getting the lay of the land, to make sure we knew where we could scoot away if we needed. We would bring our hand-held devices a lot because that is something we could easily do if things were not, you know, fun or interesting or if there is a lot of adult conversations. That is something they can quietly do in that space or we can find a different space. We would also bring games that we liked, that were group games so that we can share something that we enjoy with the people there. So, we’d come armed with that kind of fun stuff and things that we enjoyed that would help engage everybody and make those connections. And we would also, prepare for the school type questions. So, as they got older we would talk specifically like, “Okay, we are probably going to get this, we are probably going to get that,” but when they were younger, what we would do is more just refresh things we have been doing, you know, like, “Oh remember how we went to Great Wolf Lodge,” or we went to this or did that, and gave them fun things to talk about. So, that when those questions came up, they were like, “Oh, we went to the beach and we did this and we did that,” and so then it kind of gives that person an answer or something else to ask about. I think another big piece of this that goes along with the energy piece is that I really like to assume positive intent, and so while we as unschooling parents, especially, can get frustrated with those kind of school questions, honestly, most adults just really do not know how to talk to kids at all. So, that is the question that comes to mind and the truth of it is, for 90% of kids out there, school is a giant chunk of their life, and so there is no ill intent necessarily. They really are just trying to make conversation and so if we can help have conversations in other ways that helps. Maybe I will just take a quick moment for a PSA reminder, for all of us when we go to these events, instead of asking about school, if the niece or the nephew goes to school, find that little nugget of a movie or a book or something that they are interested in because then we can pave the way for how to have a conversation with this human being that has interests and all kinds of things they want to tell us about that is not related to school. So that will just be the PSA for all the other young people who are tired of that same school question too. PAM: I love that. Yeah, I always felt like I started doing that really early on and I kind of felt like I was just planting a seed that there are other things to talk about. Like with the adults, everybody is always asking me, how is work? It is an opening for complaining, or whatever, most often, right. So, “What have you been doing for fun lately? What are you interested in? 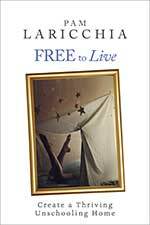 What good movie or book did you read/see?” Just opening up conversations about other bits of life rather than the school and work places that we are so ingrained in. ANNA: Just assuming positive intent, you know? It is just that we kind of get stuck in a rut. Fresh conversations ideas help! PAM: Yeah, so once you are talking about interests and fun, then you know, it just opens those kinds of conversations with other people. With kids, included, too. ANNA: And, you know, I am sure this has happened to you guys too, what is so interesting is, we might share that we went to this observatory and we are looking at this, and then it sparks this interest in somebody that you didn’t even know they had either. Suddenly, it’s, “Oh my gosh, I love the stars!” or “I have done this or this was my favorite thing.” and so, I love how those kind of conversations can develop because like you said, school and work, they are kind of dead ends, “Oh it’s fine,” or “Oh, I like this,” or “Oh, I hate this,” right, it does not have that kind of digging in and learning more about each other aspect. PAM: Yeah, you learn so many other dimensions of people right, that you did not even know existed. “Oh, you are going to yoga?” or “Oh, you like to take walks?” or you know, and what was always so funny was sometimes they would often have to think about it, because I am going to bring this other piece out, I am just so used to those very typical questions and typical conversations when you know, you only see them often at holiday gatherings and stuff like that. So, yeah, we did the same thing, and still do, just coming up with things that I bet gramma would love to hear about what we did on this trip, or what we did here, you know, just bringing stuff, like, you said, bringing stuff top of mind that are going to work well in that particular situation, and you know what, that is a skill that is useful throughout life, absolutely. Any situation, not even just with holiday gatherings, family gatherings, it is wherever you happen to be going out, let us prepare for what that environment is going to be like. Who are the people who are going to be there? What kind of conversations happen there? Those are all good things to do before we go anywhere. Oh, the other thing we talk about is just kind of the expected flow of what was going to happen. So, if a meal was involved, when was that likely to start, maybe even bringing some snacks if we knew that it was a time that was out of our routine but they would be saying, “Oh, do not spoil your meal,” you know, we would have little snacks so that, you could tide them over to that point. I am trying to think, I think there was one other thing. I think the other piece when talking about when people start asking these questions, you were talking about not getting defensive right. Knowing people are coming from honest curiosity, if they are asking about homeschooling or stuff like that and even if you suspect maybe they are just trying to put a little dig in, you do not have to rise to that. You can just take it honestly and answer honestly, because if they are just looking for a reaction, you are not giving it to them and eventually they just give up in my experience. Taking that time for myself, just to shift to a place where I am just going to lightly answer their question and know that I can change the topic, know that I can leave the conversation, “Oh, I have to go to the bathroom,” or “Oh, I am going to go check on the kids,” or whatever it is. If I feel like I want to leave a conversation, I am welcome to. I am not hostage to any of these situations or conversations. And the bringing games piece just made me laugh because I forgot to bring them at Thanksgiving and I was just kind of stuck there. Geez, once I was there, you know, and the conversation was going where the conversation normally goes, you know, and I could not just say, “Hey let’s go play Bananagrams or something. It was like, darn. So, I am glad at Christmas they are coming to our place and we have all our games lined up and they came last year and they had a great time. It is really funny, I ended up in a conversation about games earlier this week with a bunch of other adults that I do not really know, but we ended up talking about it and I was explaining how the games really are just a conversation piece. It is almost like side by side play that we talk about often with unschooling, good conversations happen when you are not 100% stuck and focused on the conversation. When you are playing games and you can chat, it just helps break the ice too, and it helps the conversations go wider because they start kind of about the game and how you play the game and then they just morph into other interesting things, so I think games are a great way to help things move along. ANNA: Yes, and for my kids too, it was fun for them to be able to explain how to play the game, it gave them a roll in doing that. They could share something they loved. PAM: Because we are all players, right. No matter our age, and they can show their mastery of things, you know. And the adults in their extended family can get to know them a bit better, see how well they explain, how well they play, why they enjoy it, you know. They get to see other dimensions of the kids rather than just not knowing what they do, because they do not go to school. Okay, so let us pretend we are now there. We are at our parents’ home, maybe, at our in-laws or a cousin, like you were talking about. So, let us talk about ways that we can support our children and their relationships with their relatives, because that is kind of a different thing, isn’t it? ANNA: Yeah, I mean, it is a little bit about what we just talked about, I think, preparing ahead of time. One of the things that I would do, was we talked about the flow of what was going to be happening and where there might be opportunities to connect and play the games, but also I would share things about the people. So, I might have information from Facebook or conversations where they got a new cat or they just went to the Grand Canyon, or that type of thing. I knew things, especially like a cat for my oldest, she would want to beeline to that person and be like, “Tell me about your new cat.” I’d just give them some of those little tidbits that maybe they would not pick up because they were not on Facebook at the time, or that was not something that they knew about. Just like we want these people to see our children as whole people, I think we can help present them as whole people too. Instead of just the ‘the aunt’ or the whatever. Show that they have these interests and show the things that they are doing—they ran a race or they did X. We would talk about that or who we were going to see, even funny stories or what we loved about them or things we had done before. Those were kind of conversations we would have, because again, we tend to have long car drives to these places, so we would talk about that on the way. Now we live close to everybody, which has its pros and cons. PAM: I love that idea of conversations about the people because that was something that was really helpful for me was to realize how much of my own expectations I was putting on it. So, the relationship between my child and my parent, for example. So, I could have this dream relationship, where they are what I would love, you know, the kind of grandparent I would love my child to have, vs who my parent actually is. Being able to realize how much of it was just my expectation that I was putting on it, and that I was getting frustrated about, and realizing this was not my relationship to control. That I actually knew my parent quite well, and I knew my child quite well, and I could help each of them just try to develop the kind of relationships that they were looking for, like what kind of relationship was my parent looking to have with my child? Like what kind of grandparent did they want to be and supporting that. And you know what, maybe it is realizing that they did not want to have the kind of relationship that I kind of dreamed that they would have and that was my processing and my sadness to work through, whatever it was, but instead I could help them have the kind of relationship that they could have, that they each wanted. I could even validate if my child wanted more but my parent did not, or vice versa, right. ANNA: Yeah, I mean definitely vice versa for us, I think too, and I think I just like that piece because again, it is giving that kind of unconditional acceptance, which you know, we can give to everyone. It does not just need to be between parent and child, I mean we can give that to the world and to the people in our lives and so I think, helping that understanding, because we kind of had both. We had the grandparent that was on the floor playing and excited and doing, and then we had one that that really was not at all interested. But they would have a conversation or ask them questions, and there was a way that they liked to talk about themselves, that knew those things about them, and that you could have a conversation, and so I think again, these are skills that are so helpful anywhere—at work, or college, wherever you are going, what you are doing. These are just really important communication skills, so I just felt like it was all so valuable and valid, all of these different types of relationships, these different types of interactions. I guess I did want to touch on this piece, the food, so because I think setting kids up for failure happens a lot around sleep and food. So, we go to these really long events, where maybe it is going over a nap, or they did not get a nap because we had to drive somewhere or they fell asleep and then they are tired, whatever, and food. So, I would bring the foods and snacks, and you might get a little grumble of, “Oh, it might spoil their meal,” and sometimes I would just go, “Or we could spoil the meal when everybody is screaming, or we can feed somebody a bite now,” or we can just be light about it, but you know, for us, having those snacks, kind of quality foods, things they knew they liked, things they would have on hand, was just a really easy way to kind of insure success at a big family meal or a potluck or whatever. PAM: Yeah, and often I would ask ahead of time, “Oh, what are you guys making? What are we going to have?” So, I would get the courses, or what it was and I would chat with my kids, “They made this, this, and this,” and they found out and say okay, I know I like that bit and I know I like that bit, and I will be able to eat this. Or we brought something, you know. It is like, oh we will bring something too, and we bring a dish that we know for sure that we all love. So, there is at least something. ANNA: And sometimes we would eat ahead of time because I am particular about what I eat too, so I would eat ahead of time and then I would just be able to kind of enjoy little bits and not have it be hungry and not finding food that I can eat either, because I am not good when I am hungry. PAM: I know, right. That is perfect, yeah, I love that. Okay, so finally, let us brainstorm things we might do if in the midst of our visit, someone has decided to challenge us about our unschooling lifestyle or you know, you have that negative relative who just keeps coming back to it, they do not want to let it go. ANNA; Yeah, well so, we will put out the classic, “Pass the bean dip,” because sometimes that is what you need to do; just move right through it and do not even acknowledge it. But really, what I found is that my joy and confidence about our life and our family really set the stage. So, I think it is just a good thing to check your energy when you go into that, and be in that proactive space of sharing, “Oh my gosh, we had the best week, or we had so much fun, or we took this trip, or we did this thing,” and you know, that energy is contagious, and that starts conversations so you can kind of nip some of that negative energy in the bud, before it gets there. If we have already gotten there and it has already happened, I go through a couple of different thought processes. First of all, who is this person and what is their interest? If somebody asks a college question, say, like “How are you going to get into college?” I have to do a quick assessment, is this someone truly interested, because I have a big long answer, for the person that is really interested, and we can actually have a conversation about it. Or is it a person who is just giving the party line and I can just say, “Oh, thank you for your concern,” and “Yeah, we have got it covered, and pass the bean dip,” and then move on from there. You do not have to engage, but it does not have to be a strong energy thing, you can just kind of let that energy wash over you, and I think that is just really important. They can come at you with all of that negative energy but you can just smile and let it wash over you, because you know why you are doing what you are doing. You know the relationship you have with your kids, so you do not have to take any of that negativity from people that do not have a clue, that are just looking in from the outside. I also like the turnaround, so basically that is like where, so let’s say, we will stick with the college example, so I might say, “Oh, where did you go to college?” and “Oh, tell us what you loved about it? What was your favorite part about it?” And sometimes it is really positive, like they are like, “Oh, well I loved this, and I had this cool professor, and I met the person I am going to marry,” or I did whatever, and we can get excited about that, but what is funny, is a lot of times it is, “I am still paying off the student loans, and I am not doing anything with the degree,” and then you are kind of thinking, “Okay, so why are we doing this?” but you know, whatever it is, I think turning it around to just make it a conversation vs. you or your child being in the spotlight, like you are being quizzed. 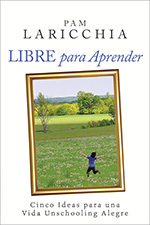 I found that to be really helpful and actually it is a tool that I gave to the kids as they got older, because, as they are out in the world, they are fielding these questions on their own. I would just tell them, just ask them, say, “Oh gosh, yeah, could you share what you loved about college with me? I am still considering my options and figuring out what I want to do,” and you know, just turn that around vs. feeling like you have to give this person that you, I mean, sometimes this was people on an airplane with my oldest daughter, like, this person who does not need to know your personal plans, so it turns out they would rather just have a conversation. 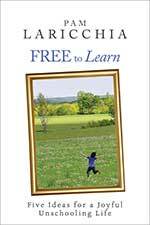 When it is parenting, the other thing is you kind of have the unschooling piece but you also have family parenting issues come up, because for some reason, I think when we are in that family environment, people feel free to speak their mind. So again, what I can control is who I am, and my energy. So, I go back to positive intent, this person is just sharing something that feels important to them, maybe it was how they were raised, maybe it was how they raised their child, so they are feeling slightly defensive that I am doing it a different way. I can see them, and hear them, and validate them. Sometimes I would need to explain and sometimes you can deflect so you can gauge that in the moment, but just do not feel defensive. That was the key for me. They are just saying whatever they are saying, I can just let that wash over me, even if they mean it as an attack, you know, even if they are trying to say something that they think will hurt me, or whatever. I get to choose how I feel and what I do with the information, so that can just wash over me. PAM: I was going to say, I think when we feel that as an attack, I think, and we feel defensive, and we get pulled into it, I think sometimes that is because on some level, I know for me what I worked through on some level, I still wanted their approval. We just wanted to convince them to see what we see, because we have done all of this work, but it is that realization, we cannot control them. Just as we do not want to control our children, and we do not want them to control us. We make our own choices right, but to turn around and try to convince them to make the same choice as us doesn’t make sense. We talked about earlier, you are back stuck in that circular conversation that is not going to go anywhere, and that just bringing the energy that you are very comfortable with the choices that we are making and we are just living these choices with you. But to do that processing, before, to get to that place where we can release the need for their approval. That is a mindset shift for us. We can disengage, we do not have to get pulled in and that positive energy is so helpful. I think on another level too, people might worry that I do not want to be faking it, right, because sometimes we are feeling challenged about something that is going on with the kids or whatever, but what I came to realize was that this was not the place I wanted to talk about it anyway. These were not the kinds of answers that I wanted to get. I was not going to be asking for their help because they are going to be giving me conventional answers, suggestions, advice, etc. So, I would save those kinds of things for people, whether it was online unschooling groups or conferences, whatever groups that we had locally, those were the kinds of answers I was looking for, those were the kinds of perspective that I wanted to work on. So, I would not open up those conversations in an environment where all the advice was going to be conventional anyway, because then I would just feel bad about anything that they said, feel the need to say, “Well I am not going to do that,” you know, it is just not the right place. But really, you have opened up the conversation by bringing that problem there, so you are right. I never looked for help there, I kept it high and light and in general about what we are doing, because I have friends and groups and other things that can help me with the cosleeping issue, or with a nursing issue, or with the thing that might not sit well in that group. Just keeping in mind that again, they are trying to help and it may not be delivered in a way that feels good, and so those conversations, we just avoid it altogether. But one other thing I wanted to say too was that we often, and I think you guys did too, use these interactions as fodder for conversation on the way home. ANNA: We would be like, “Sooo, aunty X thinks that we should clean our plate, and so how did you feel about that?” or “What did you think?” or whatever, and then have that conversation, I might share something from my childhood about why I do not like that, and why that does not feel good to me. We also can talk about that we know she came from a different time and this was important to them and this is what she was taught from her family, why do you think that was? So, we would just enjoy the, you know, sociological perspective, just looking at it all. PAM: Yeah, it was not ever about dissing them as a person, right, at all. It is about understanding them as a person, you know. How they came to develop that belief, even how they are interacting with people, it’s all of that. It was all more learning and you know, how we can engage, how we cannot engage, how we can choose to not go next year or next time. What we can do when we are feeling uncomfortable, making up plans for next time. It was all great fodder for conversation. But it is a really important conversation to have though too, right. It is not like, “Oh we finally got through it, I do not even want to talk about Thanksgiving again until we have to do it next year,” or whatever, because that is how we learn, right, by processing it. ANNA: No, because having the light conversations actually, what is the word…like maybe takes some of that weight away, because we are not leaving it like, “Oh we have just been attacked or it has been this horrible thing, we are just saying like, “Oh my gosh, you know, I love this, or I love that,” and we talk about the things we enjoyed or we talk about the things that are challenging and what we can do differently. But I feel like again, just that it brought the four of us back together. We got back to our unit, vs. dwelling on or about the extended family event which maybe felt a little squirrely at times, a little challenging. PAM: I think that processing is so important, right. Because you are right, so often in your mind when you do not talk about it, you can start spinning on the things that did not work well, you know. Somebody made some random comment that we took defensively, if we keep it inside, we will keep thinking about it and keep thinking about it, and that is the one thing we will remember out of all the other things that went great, that we could have enjoyed. ANNA: We don’t have to let that ruin the whole day. PAM: Yeah, we can process it, and then we get some validation, “Oh yeah, what a crappy thing to say.” We get some validation from the rest of our family, maybe we get some insights from them, then the conversation also turns to all the good things that we enjoyed, and yeah, we can come away from it with a much better perspective on what happened, some more wisdom, some more learning, some more everything about it, when you actually process it rather than hold it like a rock inside. But what I love about it is that the observation is not that they are a bad person or that they are mean or they are a bully, or whatever, it is, oh, they have some kind of need that needs to be met. We would just continue that same idea with family and playgrounds and friends, so that we are always looking at people as human beings as opposed to just passing judgement. PAM: Yeah, I love that piece too because these are the same kinds of conversations we would have after you know, they spend time at a friend’s; they went and visited at a friend’s, and you know, parenting is different, things are different, expectations are different. 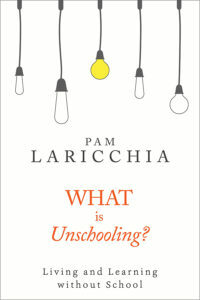 It comes back to unschooling is life, really, right? You know, this is how we engage when we are out and about in the world and having conversations and seeing how other families do it, other kids, just helping our kids process and learn through all that. We do not turn that off just because it is family now, and so often you know, that can be a step for us to take, because we feel our position in the family and we are like, ‘Oh, okay, I am this little girl and I am just going to be quiet and do what I am told and we are going to do everything as good as we can so that we can get out of there and be accepted,’ but to bring our whole of us into our family as well…our extended family. ANNA: Who we are now because I think that is so critical for us to talk about and everybody listening when we are around our family, our extended family. It can just send us straight back to being a teenager, or to being in some kind of adversarial situation, this power differential, and to just realize you know, we are adults and we have families and we can interact as equals and from this place. I guess the biggest piece I want to leave with people is for me it has been so much about the energy I bring into the situation. Holding that loving space, and you know, setting the stage, because the minute I start to feel defensive, or I start to feel that kind of power differential, things just go south. And I have done it, many times, you know, gotten defensive or felt attacked, or whatever, but what I love is that I know now that I can make that choice at any moment. Even if I have started to feel defensive, even if I have started to feel like wait a minute, this is not fair or this is whatever. I can just let all of that go in a split second and change that to ‘Who do I want to be right now?’, and I love my family and I love the choices that we are making and we feel good about what we are doing, and then I can radiate that, and it really does just change a room, you know it really does, so that is the work we can do before going into these holiday situations that can just really change it and make it better for all of us. PAM: Yeah, I love that and that is a great way to end. That is my experience too; the energy is everything, you know. It really is and over the years, they see it, you know. For some of our extended family, it was never about understanding what we were doing, it was about how we brought great energy and we were always so happy when we saw them, and over the years they started to find value in all that. That is lovely. Thank you so much for taking the time to speak with me Anna, that was so much fun. ANNA: Yes, I was happy to and happy holidays everybody!